A ‘Lil Car Meets Overhead Door Mishap In The ‘Sack! (PIC) | Sack-Vegas!!!! Not my favourite gas station?? Nooooo! 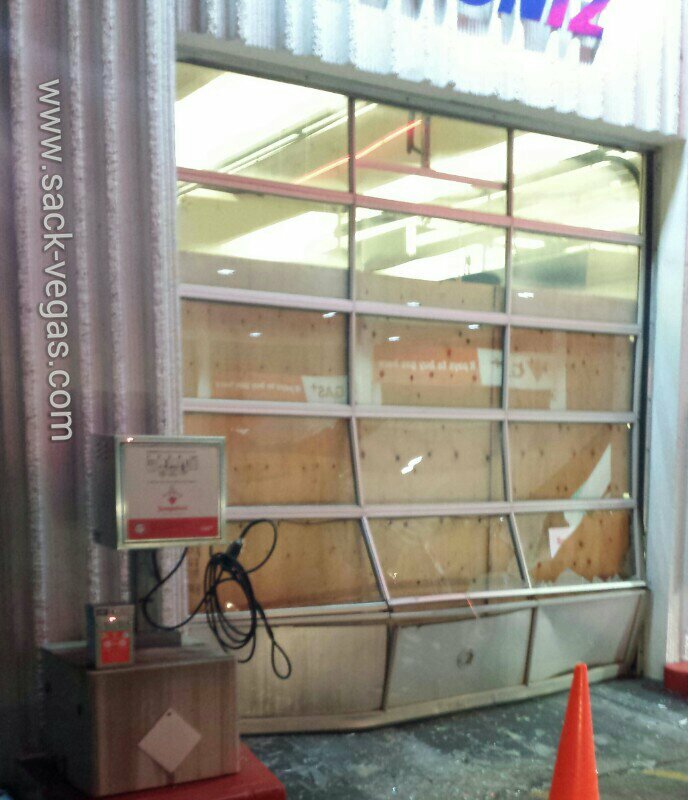 One of the bay doors at the Sackville Canadian Tire Gas station got crunched. Apparently the car (Honda Civic) escaped unscathed but the door did not. Oh well, at least everyone is O.K. and the folks down at the friendliest gas station in town are still smiling. Never a dull moment in Sackvegas! Posted by Sacky on January 28, 2014 in Ramblings And Foolisness.